Running with a view always beats the alternative. And in the Bay Area, vistas are even more epic, with so many routes and trails offering a glimpse of the Pacific and its gorgeous coastline. Residents and visitors alike know there’s always a trail nearby where you can log miles while watching waves. In other words, there’s no excuse not to see the ocean when you lace up your sneakers. With options that hug the Pacific Ocean from Marin to Santa Cruz, here are the best Bay Area trails with ocean views. Whether you’re looking for a quick, easy jog or a hard slog complete with elevation gain, you’ll find something scenic to choose from. Just make sure to keep an eye on your footing: It’s all too easy to get distracted by these gorgeous vistas. Craving more exertion? Then head away from the beach and cross Highway 1 onto the Dipsea Trail. The 7.3-mile Stinson to Pantoll Loop run offers waterfalls, wildflowers, tall trees, and bragging rights for running part of the Dipsea. From the Dipsea Trail, climb for a mile and half then veer left onto the Steep Ravine Trail. 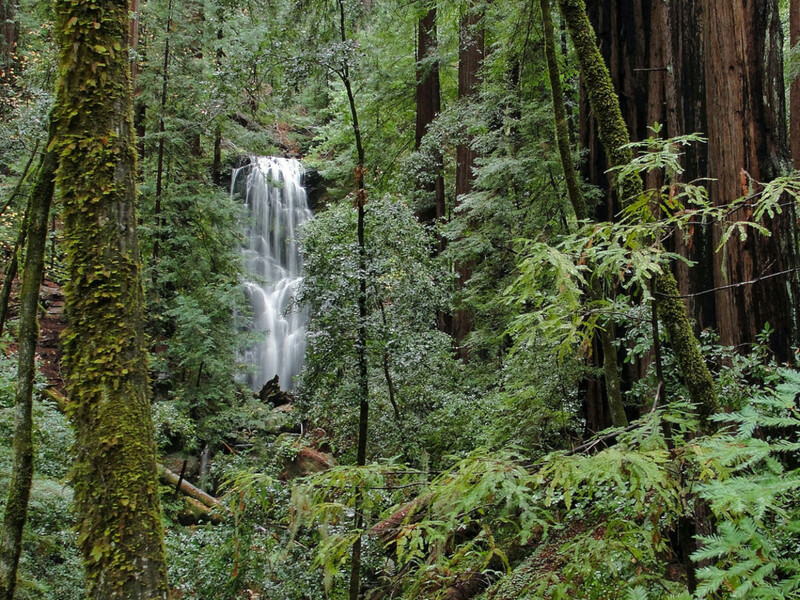 You’ll climb some more through a commanding redwood forest, see a pair of waterfalls and climb a quick ladder before reaching the Pantoll Ranger Station. Carefully cross the Panoramic Highway and find the Matt Davis Trail, which starts as single track through the forest. When the trail opens up onto a grassy hill, take a moment to savor a view that includes the Marine Headlands, the Golden Gate Bridge and all of San Francisco. Then keep running. Stay on the Matt Davis Trail (don’t veer onto the Coastal Trail) and beware of the wooden steps, gnarly roots and other tricky footing as you return to Stinson. 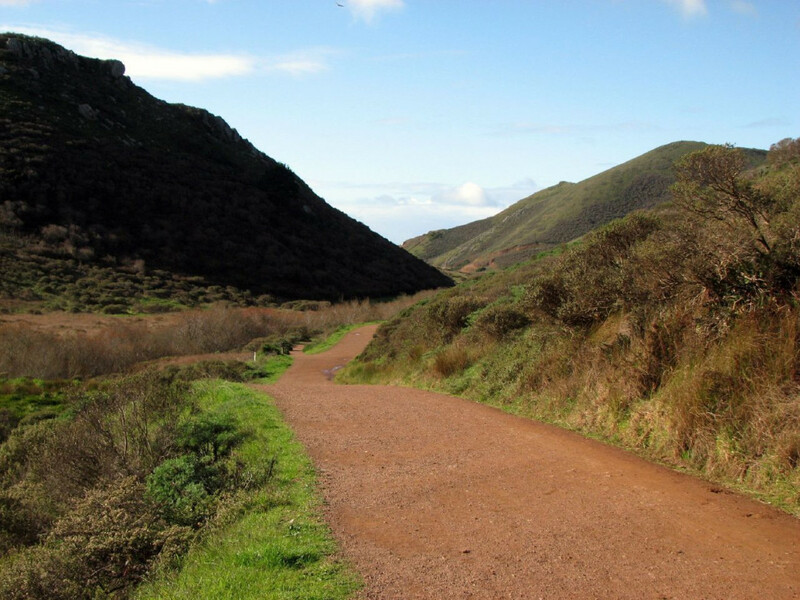 The most popular trail in the Marin Headlands, the Tennessee Valley Trail starts at the visitor center on Tennessee Valley Road. From the parking lot, it’s a gentle 1.8 miles to the beach on a wide, partially paved trail that you’ll share with horses and bikes for most of the way. Halfway down, however, you can opt for the bike-free Lower Tennessee Valley Trail. In addition to humans, you might see red tail hawks, mule deer, and the occasional rattlesnake. Park service pro tip: Coordinate your visit with a low tide to see the engine of the shipwrecked SS Tennessee. When you don’t have a lot of time but want a lot to see, Lands End is the way to go. Home to the Ohlone Tribe until Spanish settlers arrived in the 1700s, this northwest corner of the city became the passion project of Adolph Sutro, a German inventor and eventual mayor of San Francisco in the late 1800s. 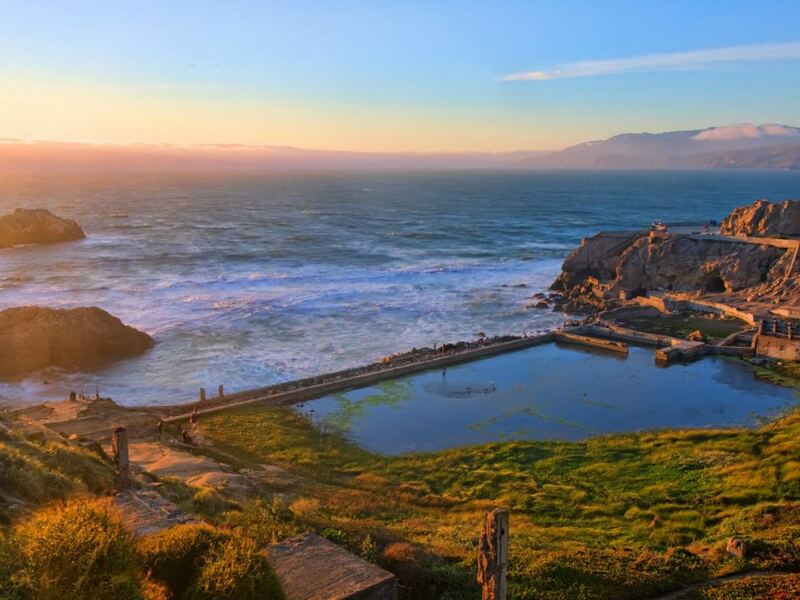 Sutro believed everyone—not just the rich—should enjoy the views from this rugged outpost. 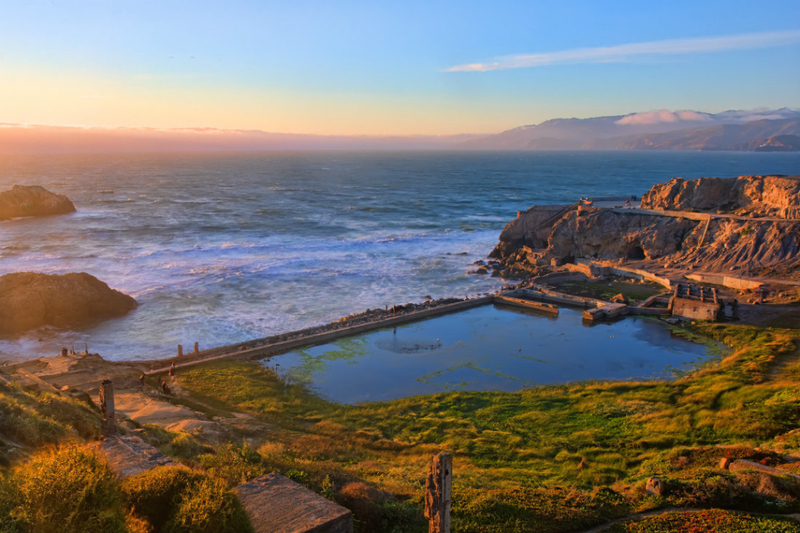 He bought the land, renovated the Cliff House restaurant, and built the Sutro Baths and Gardens. After his death, the land was transferred to the city under the condition that it remain free and open to the public. 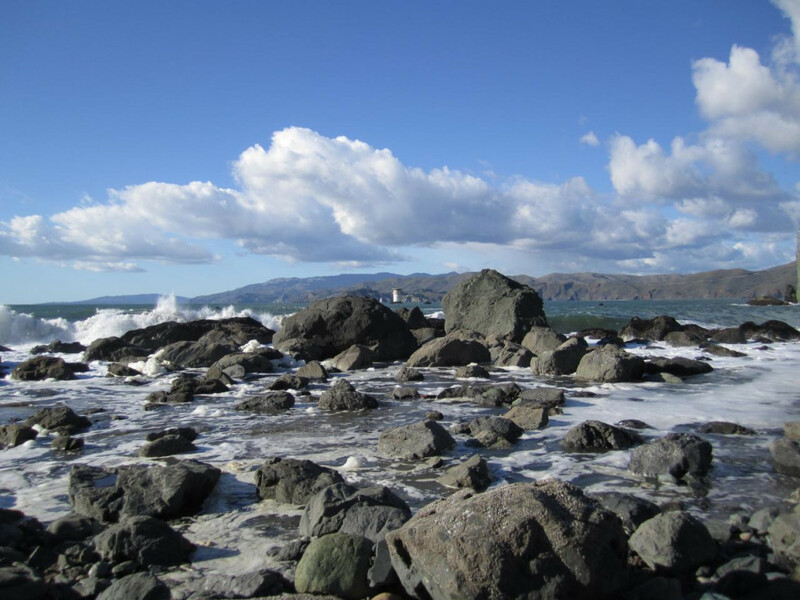 Now owned and managed by the National Park Service, Lands End sits within the Golden Gate National Recreational Area and offers stunning views of the Marin Headlands, the Golden Gate Bridge, and open ocean. From the Lands End parking lot, take a quick jog out to the Point Lobos to see the mighty Pacific, then loop back to take the Land End Trail to the Coastal Trail. Stay back from the cliffs, keep an eye out for poison oak and avoid dog-walkers and strollers on your way to Eagles Point. Turn around and retrace your steps. It’s spectacular in either direction. The oldest state park in California, Big Basin Redwoods State Park is always worth the trip from San Francisco. From Waddell Beach, start on the Skyline to the Sea Trail, which hugs Waddell Creek. Continue up and up until you get to the Berry Creek Falls Trail. It’s tricky footing and tough going but you’ll be surrounded by redwoods and great views of the Santa Cruz Mountains. Once you reach Berry Creek Falls, take a moment to appreciate the accomplishment, turn around and retrace your steps. The falls are dramatic and worth the trip, especially in an El Niño year, but if you don’t have 12 miles in you, any amount out and back on the Skyline to Sea Trail will give you a sense of achievement and an eyeful of the Pacific. 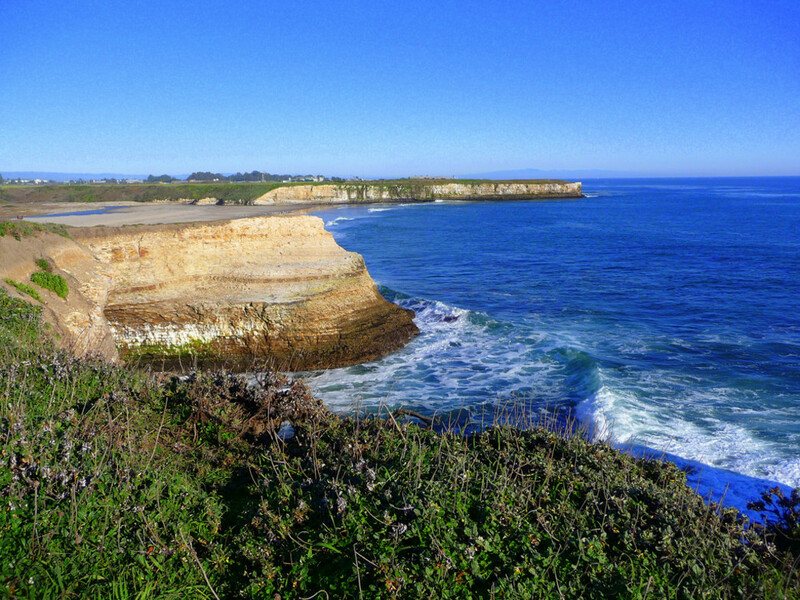 Wilder Ranch sits on a former cattle farm and straddles both sides of Highway 1. For an easy, flat jog, start in the parking lot and take Old Cove Landing Trail. You’ll cross the railroad tracks and hear the ocean, loud and powerful, just before you turn to see it. 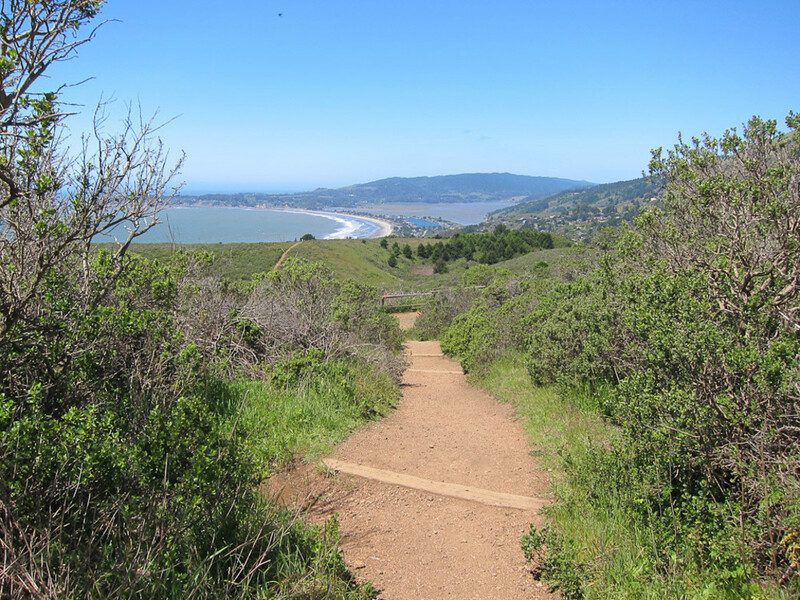 When the Old Cove Trail meets the Ohlone Bluffs Trail, you’ll see Wilder Beach, which is a snowy plover preserve, on your left. Continue to your right along the bluffs past Fern Grotto to Sand Plant Beach. Take the trail to your right, head down the hill, over the tracks and back to the parking lot. If 2.5 miles isn’t enough, you can continue on the bluffs for a 10-mile out and back to Four Mile Beach (confusing, we know). And if you need elevation gain to feel complete, you can skip the bluffs run altogether and take the tunnel under the highway from the parking lot. The inland side of the park offers 70-some miles of trail over open grassland and into redwood forest.